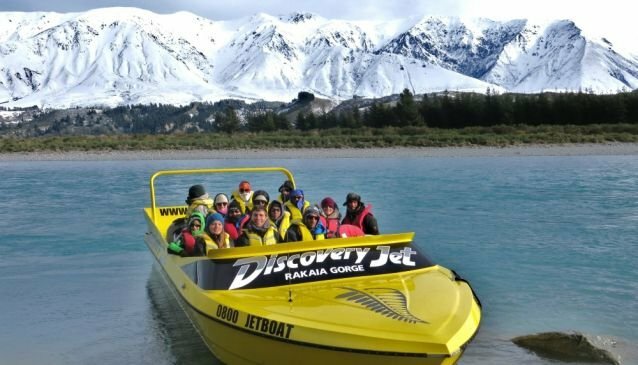 The team would be happy to customise a Discovery Jet boat / River experience for you - please ask about their Jet-Kayak Combo, Jet-Heli Combo, Jet-Raft Combo. 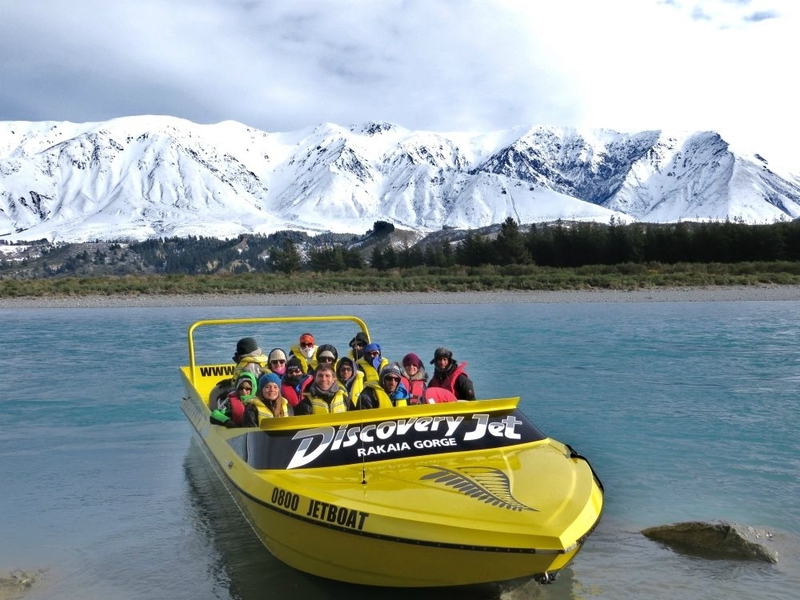 Discovery Jet offers visitors the chance to go hurtling through gorges and river canyons at mind-boggling speeds, to really get that adrenaline pumping. 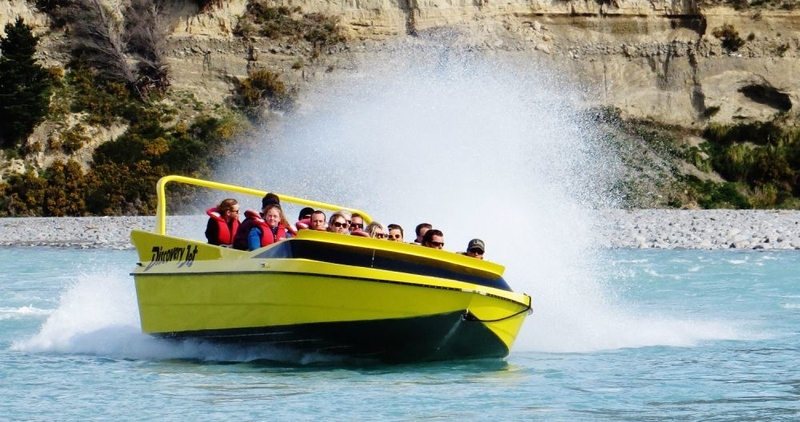 10 passengers per boat will scream along the Rakaia River, experiencing not just a life-altering high speed jet boat ride, but the sheer beauty and serenity of the Rakaia Gorge region. Massive cliffs, narrow river channels, snow capped Alps, there's everything to see here. 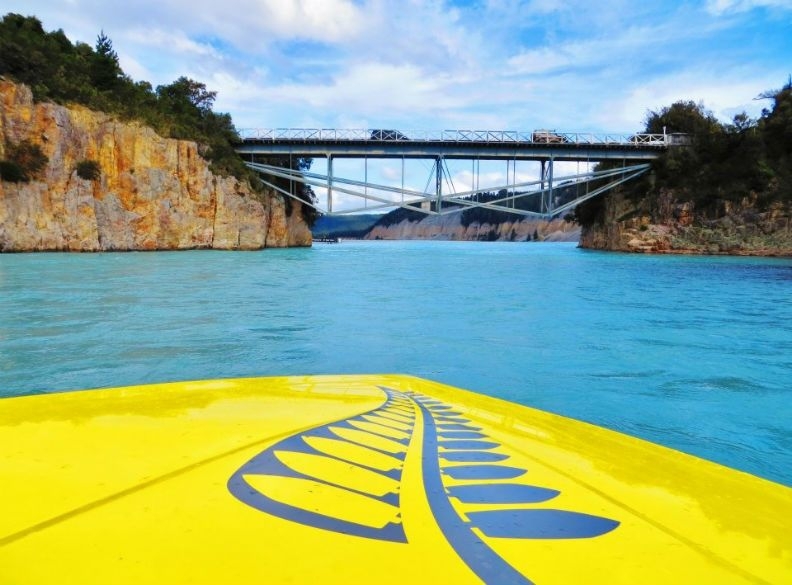 Watch it all melt into one, picturesque tableau, as your experienced and professional driver spins you round in circles upon the water, before shooting you back up the river beneath limestone crags and dramatic, brush covered hills. 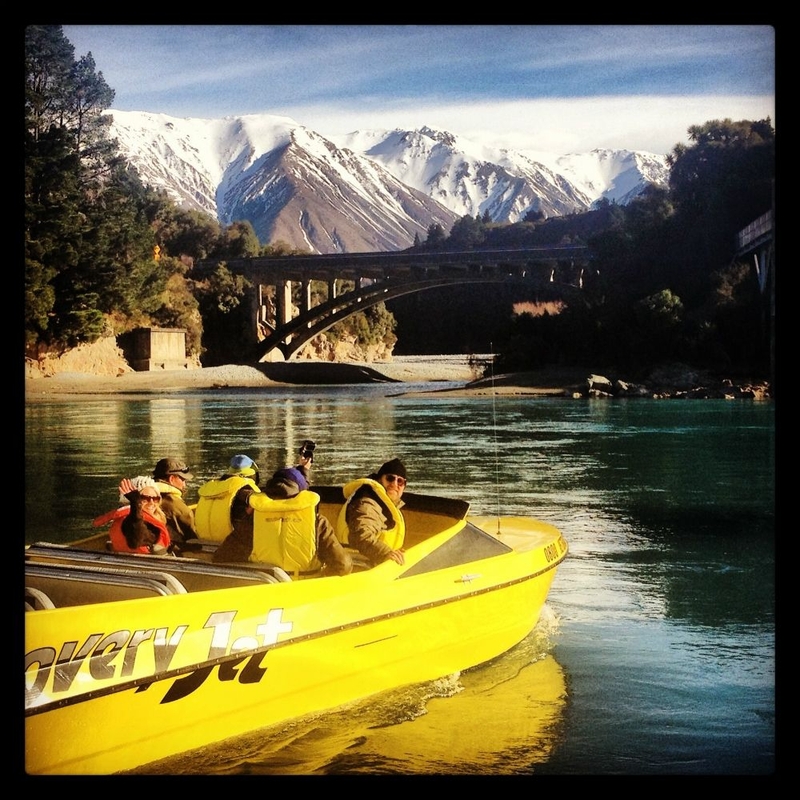 Calm things down a little with a stop off at a beautiful, deserted beach, or enjoy the peace and tranquillity of the Rakaia River in a bit more detail, with some fly fishing. Let your driver teach you about the amazing flora and fauna you can find in the region, and take advantage of the incredible photo opportunities available along the way. If you want to take things a little easier, just lose yourself on one of the amazing fishing or hunting trips on offer. Fly fishing and Salmon Tours range from half day to multi-day trips to some of the most pristine rivers in the country. Free range hunting trips take place on private but open and exlclusives ranches throughout the South Island. 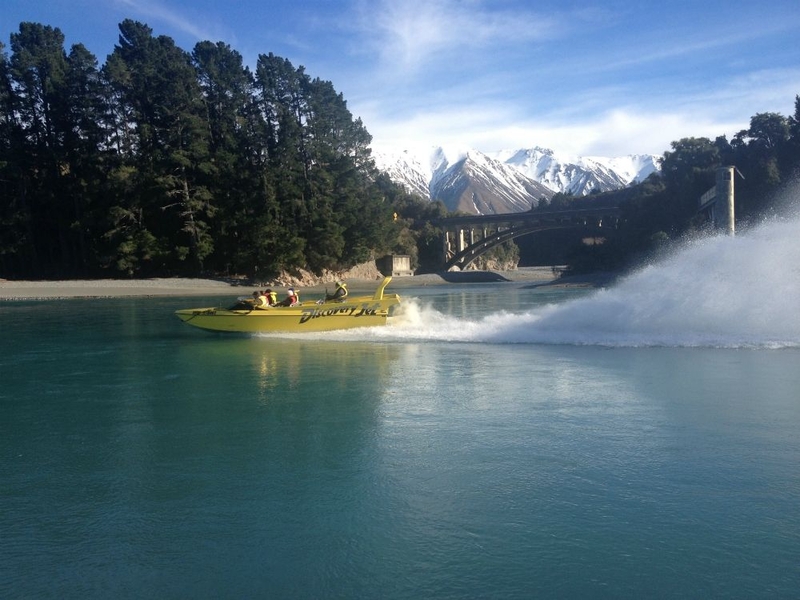 The team would be happy to customise a Discovery Jet Boat / River experience for you - please ask about their Jet Boat Combos which include Jet Boat/Heli, Jet Boat/Raft, Jet Boat/Horse Riding, Jet Boat/Clay Bird Shooting and Jet Boat/Archery. Discovery Jet can tailor-make jet safaris to suit your group, and they guarantee an exhilarating experience you'll never forget. All you need to bring are sunglasses, your camera, sunscreen, and your sense of adventure! Please visit Discovery Jet for bookings and latest price information.